To talk with my neighbor is a simple way to show hospitality. As our world becomes smaller, our neighborhoods are becoming larger. Who are your neighbors — those you live near, work with, do business with, encounter in your travel, or meet socially? As they in many cases are working to learn our language, I suggest we care enough to learn theirs as well. Before you begin, consider: What are your goals, both short and long term? Why would you like to learn this language? How will you be using the language? What level of fluency are you seeking? (For a standard way to measure and express that level, check out the “Common European Framework.”) Different goals will call for different approaches. For example, your language learning strategy might be very different depending on whether you are seeking conversational fluency, reading academic articles, taking university classes, or getting a job as a translator. The toughest part of learning some new languages may simply be the sounds – that is, if they are significantly different from one’s primary language. Simply learning the sounds of the letters or other characters is a great place to begin. It’s also helpful to spend time simply listening to the spoken language, letting those new sounds soak into your consciousness. Once you have learned the basic sounds of the language (When you see a word spelled, you usually know how to pronounce it; and, when you hear a word spoken, you usually know how to spell it. ), it’s time to learn simple phrases and build a working vocabulary. Learning the basic structure of the language – grammar and syntax – is a third major step in language acquisition. Contrary to most language learning courses, it’s usually more helpful to develop a basic conversational vocabulary and learn to form some simple sentences by rote before beginning the study of grammar. Think of how your learned your primary language. Beyond step three, you will simply need ongoing, regular practice. The more intense your language study is, the faster you will learn. That’s why immersion programs are so popular and effective. Of course, they are not always practical given the circumstances of your life. Short of traveling to immerse yourself in the language and culture, consider other ways you can immerse yourself to a degree in your chosen language. For example, consider reading books, magazines, news articles, or articles on the internet. Watch videos, movies, or TV shows. Listen to radio through the internet. Engage in conversation with a native speaker through websites such as italki.com. I look forward to hearing from you. Please share your comments and questions below. wow this really puts things into perspective. Think, so many people are used to the old school, read a word and memorize it method they teach in high school classrooms, that they forget how easy it really can be to learn a new language. Hey thanks, Matt. That’s right. It doesn’t have to be drudgery, more like a fun way to make new friends. I’ve been amazed how gracious folks are when you just make some attempt to speak their language! Thank you, Nadeem. I know that learning another language has certainly enriched my life, and I trust it will for others as well. Very interesting article on learning a language. 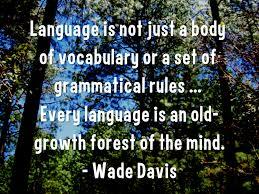 I have always been fascinated by languages and learnt French, German and Latin at school. Because of my love of the French language, I went on to become a Bilingual secretary in Paris. I have also taught English as second language in Turkey. The way I was taught to teach English is as you describe. Sounds, basic vocabulary and then structure. Repetition is an extremely part of learning a language and I used to get my students to repeat the same sentence over and over again. The best way, as you also point out, is to immerse yourself in the language by living in the country. My French became fluent living in Paris and many people, much to my surprise, actually thought I was French. I also managed to pick up basic Turkish words while I was in Turkey which got me through things like shopping, eating out etc. Having a background in Latin also helped with the romantic languages. To me, it is truly enjoyable learning to speak another language and be able to communicate with your neighbour! Thanks for your comments, Lucinda. It sounds like you’ve had an interesting journey with learning languages. And I appreciate the assurance that I am on the right track. I want to take away the fear that language learning is something only a few gifted persons should pursue. What a gift it is to communicate with someone from another culture, even if we do stumble a bit in the process! Liked a lot your page about Learnig Strategies. The 4 steps you described are indeed the ones to learn consistently a foreign language. English is not my native language and I had only three years learning British English. Because I see almost all films and TV series in English, I could develop my skills in understanding and speaking fluently, mainly technical subjects, cause I read a lot of technical books and news articles. All that and the vocabulary I learned at school helped me to write fairly, so I totally agree with you and what you write in your article, and I also can confirm all that by my personal experience. Thank you so much, Peter. Yes, the traditional way I was taught years ago was great for reading academic articles; but I couldn’t hold a conversation. For most people, conversation is the real goal. I find the idea of speaking more than one language as a way to connect more fully to the world around us as a fantastic motivator to learn a new language! I am a native English speaker and studied German for four years in school. Twice, I spent two months backpacking through Europe. In every country that I visited, I did my best to incorporate that country’s language for basic communication. In my experiences, those I was trying to communicate with were pleased that I was attempting to speak their language. When my attempts at others’ languages failed, or fell short, I found that a combination of their language, English and even, in some cases, German, would get us to the point of understanding each other. I was grateful to have my background in German, especially in Prague during the early 90’s, as it came in handy quite a few times. As an English speaker traveling in countries where English is not the native language, I know that I was extremely grateful that so many people, in so many countries, speak quite a bit of English, if not fluent English! Both of my children are learning to speak Spanish and I am encouraging them to use what they have learned at home with me – so that I can also learn at the same time! Sometimes they grumble (as children often do in regards to studying 🙂 When they do, I impress upon them how much they will appreciate knowing a second language AND how learning another language and culture opens their minds to others outside of their own circle. This lesson has had reinforcement already, as a new family moved into our neighborhood and low-and-behold, one of their sons is my son’s age and also plays and loves soccer – and English is his second language! When his extended family is visiting, and my son is out there playing soccer with them – he is the only one whose first language is English. I think his Spanish lessons are going to get a lot more interesting for him! Thanks for sharing your experiences, Emily. What great examples of the value of learning another language, even if you’re not fluent! And how motivating for your son to continue his Spanish studies when his new soccer buddy (and his extended family) speak Spanish! Thanks for such a great article. I met my wife in Thailand and I have to say the steps you outline are spot on. Thai is a tonal language and difficult for me but the outline you suggest works. Now she is here in the states and she is learning to speak English better by going to an English class. Thanks for a great article. Hey! Glad you found it helpful. You do have an extra challenge learning a tonal language. What an enriching experience for you both to invest in learning each other’s language!